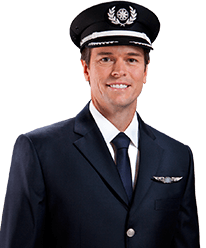 Welcome to the Flight Centre Airline Guide. Here you'll find up-to-date information about the airlines we deal with across the globe including what to expect in each cabin class, the best ways to check-in, baggage allowances, frequent flyer programs and much more. Find the right fit for your trip, wherever you're going, with the Flight Centre Airline Guide providing an easy way to access and compare airlines across the world. Learn more about the airlines Flight Centre works under the Domestic Airlines, International Airlines and Low Cost Airlines tabs, including details on cabin classes, check-in options, baggage allowances, rewards programs and airline lounges. Airlines often form alliances to offer the freedom and flexibility to fly you anywhere in the world. Here at Flight Centre we offer tailor-made itineraries such as Double Dip or Round the World. Talk to your local Flight Centre consultant about creating a flight plan to suit you. Airlines usually offer lounges to First and Business Class travellers or as a benefit of membership to their frequent flyer programs. Increasingly however, some airports and airlines allow passengers to pay to use their lounges, with facilities including internet access showers, massages, meals and refreshments. Visit our Airport Guide for more information. Today, points are earned on the ground too with affiliated partners or through credit card loyalty programs linked to an airline or travel partner. This means you can earn points on a variety of everyday purchases. Points can be redeemed for a wide range of travel benefits and increasingly non-travel related goods and services as well. Here is some useful information to help you prepare for your flight. If you require further information, call 0800 24 35 44 to talk with a Flight Centre Airfare Expert.